The Supreme Court on Wednesday upheld the Constitutional validity of Goods And Services Tax (Compensation To States) Act, 2017, as well as the Goods and Services Tax Compensation Cess Rules, 2017, as framed under the Act. 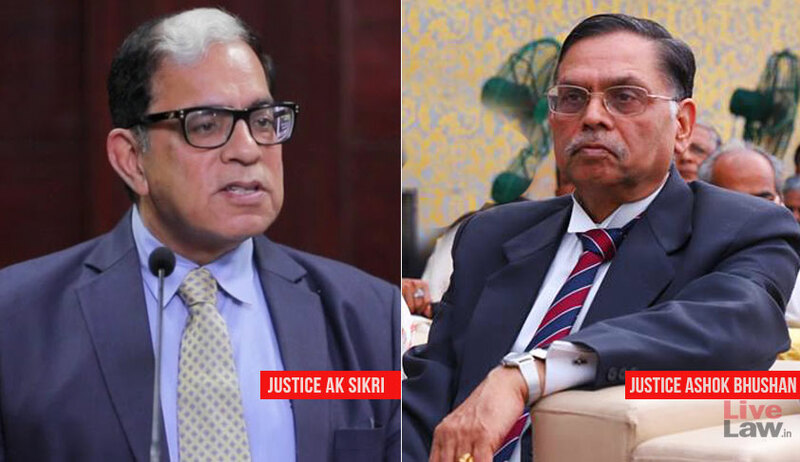 The verdict was delivered by a Bench comprising Justice AK Sikri and Justice Ashok Bhushan. Issue no. 1: Whether the Compensation to States Act, 2017 is beyond the legislative competence of the Parliament? The petitioner had contended that although the impugned Act has been claimed to be enacted for compensating States for loss of revenue, it in fact imposes tax, termed as cess, thereby falling outside the purview of the powers that it holds. The court, however, upheld the legislative competence of the Parliament to enact the law, pointing out that Article 270, after Constitution (One Hundred and First Amendment) Act, 2016, specifically empowers Parliament to levy any cess by law. Besides, it emphasised on the fact that Section 18 of the Constitution (One Hundred and First Amendment) Act, 2016 expressly empowers the Parliament to provide for compensation to the states for loss of revenue arising on account of implementation of the goods and services tax, “by law”, on the recommendation of the Goods and Services Tax Council. “When Constitution provision empowers the Parliament to provide for Compensation to the States for loss of revenue by law, the expression “law” used therein is of wide import which includes levy of any cess for the above purpose. We, thus, do not find any merit in the submission of the learned counsel for the petitioner that Parliament has no legislative competence to enact the Compensation to States Act, 2017,” it concluded. Issued no. 2 & 3: Whether the Act violates Constitution (One Hundred and First Amendment) Act, 2016; and whether it amounts to colourable legislation? The court noted that the Statements of Objects and Reasons of the Constitution (One Hundred and Twenty­Second Amendment) Bill, 2014 included the objective of “conferring concurrent taxing powers upon Parliament and the State Legislature to make laws for levying goods and services tax”. Article 246A (1), it further noted, empowers the Parliament to “make laws with respect to goods and services tax”. Besides, having held that the Parliament has full legislative competence to enact the Act and the Act having been enacted to implement the Constitution (One Hundred and First Amendment) Act, it also rejected the contention that the impugned act is a colourable legislation. Issue 4: Whether levy of Compensation to States Cess and GST on the same taxing event is permissible in law? The petitioner had submitted that Section 8 of impugned legislation levies cess on intra­State supply of goods and services, whereas CGST Act has also been enacted to levy tax as provided under Article 246A of the Constitution. Cess, they submitted, is also imposed on inter­state supply of goods and services covered by Section 5 of IGST Act, 2017. The petitioner had therefore contended that there cannot be two levies, one under CGST Act and another under impugned legislation as it would amount to double taxation on the same taxable event and same subject. The court however asserted that two taxes/imposts which are separate and distinct, and on two different aspects of a transaction are permissible as “in law there is no overlapping”. “Goods and Services Tax imposed under the 2017 Acts as noticed above and levy of cess on such intra­State supply of goods and services or both as provided under Section 9 of the CGST Act and such supply of goods and services or both as part of Section 5 of IGST Act is, thus, two separate imposts in law and are not prohibited by any law so as to declare it invalid,” it then explained. Issue 5: Whether payments made towards Clean Energy Cess can be set off against payment of Compensations to States Cess? Lastly, the petitioner had submitted that having paid Clean Energy Cess till 30 June last year on the stocks of coal, he is at least entitled to set off the same in payment of Compensation to States Cess. The court, however, noted that the Clean Energy Cess and the States Compensation Cess are collected for wholly different purposes. While the Clean Energy Cess was levied and collected for the purposes of financing and promoting clean energy initiatives, funding research in the area of clean energy, etc, States Compensation Cess is collected to “provide for compensation to the States for the loss of revenue arising on account of implementation of the goods and services tax”. It then ruled that the petitioner is not entitled for any set off of payments made towards Clean Energy Cess in payment of Compensations to States Cess, dismissing the petition.